For our mini review/quick look sample pack this week we look at another release from Zenhiser. This time we bring you Tropical House a fully loaded massive sample pack full of all the tropical house goodness for this summer. It seems to us that the Zenhiser packs which we already love (check the previous reviews) just seem to get fuller and better than the next and this one is no different. 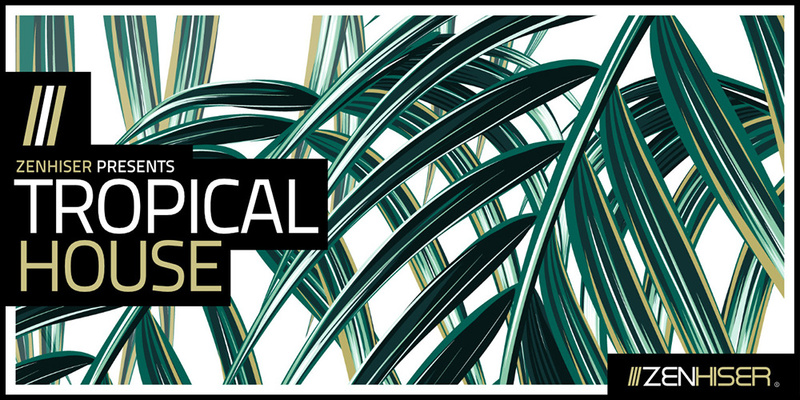 Tropical House contains just over 490 loops and samples plus 59 MIDI files,for Tropical House & Chilled House producers. 5 song starters are also included which really help with some inspiration. As usual the layout and sound quality of the samples are second to none, and we can’t stress how much we are loving that Zenhiser now include the MIDI files with their packs now that just make them even more flexible. All loops & samples included are 100% royalty free, so you are free to use them as you like in your productions. As usual the proof is in the pudding take a listen to the demo of the pack below and go and check out this out sample pack and get your next summer house anthem started. Our first tropical house type sample pack review from Zenhiser and we love it. Great inspiration and a selection of really solid samples we have come to expect from Zenhiser. A smash pack for sure!